Michael Reilly graduated from Gettysburg College in 2007 and earned his J.D. from Rutgers Law School (Camden) in 2011. While in law school, he participated in the Children's Justice Clinic, a litigation-based clinic that allows third-year students to assume the role of an attorney in order to represent New Jersey children in juvenile court. 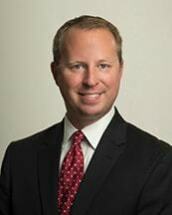 Prior to joining the firm, Michael focused his practice in general civil / business litigation. Michael brings to the firm a practical litigation approach which combines a strong work ethic with common sense and attention to detail. Michael is an avid Philadelphia sports fan and resides in South Jersey with his wife, son and toy poodle. He is licensed to practice law in New Jersey. Was included on the list of "Super Lawyers-Rising Star" published by Thomson Reuters in 2019. - A description of the standard or methodology on which the accolade is based can be found here Super Lawyers.